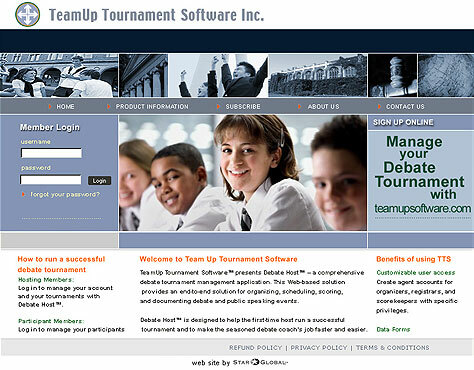 TeamUp Tournament Software presents Debate Host - a comprehensive debate tournament management application. This Web-based solution provides an end-to-end solution for organizing, scheduling, scoring, and documenting debate and public speaking events. Team up Tournament came to Star Global with a new business idea. Star Global designed the new logo, and new look and feel for the web site, plus created the custom tournament based software system for a complete online package. Debate Host is designed to help the first-time host run a successful tournament and to make the seasoned debate coach's job faster and easier. Advanced features such as optional automatic assignment of participants and officials to rooms and instant score tabulation make running a debate tournament much less complicated, regardless of the size of the tournament. 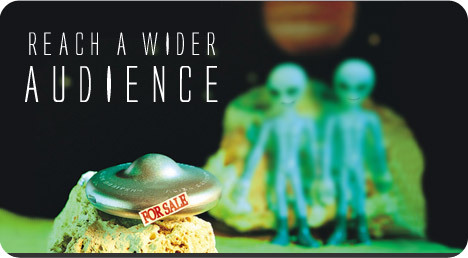 Provide students with excellent debating and public speaking experience. Plan times, locations, and events. Coordinate resources, volunteers and competitors. Communicate schedules to all participants in all roles. Record, calculate, and publish results. Acknowledge volunteers and participants in a timely fashion. Helps to organize and coordinate the people, places, times and information. Automatically schedules competitors in debate or public speaking events. Permits editing and updating data easily as planning proceeds. Prints typical schedules, reports and letters both before and after the tournament.